All our Hydraulic Cylinder versions are listed together, for full information please browse the Hydraulic Cylinder section by clicking the Hydraulic Cylinders Section at the top of the page. These cylinders are used in a huge range of apllication and are interchangeable with Hi-Force, Power Team and Larzep cylinders which we can also supply if required. Nickel Plated Corrosion Resistant Cylinders can be found in the Corrosion resistant Hydraulics Product Section on the left. We offer a full range of Double Acting Hydraulic Cylinders in a variety of bore and stroke combinations available to buy directly on-line and available in short delivery times. Many are ex-stock for next day delivery but feel free to contact us to check delivery times. These cylinders are constructed of steel to suit a wide variety of applications and are extremely cost effective. Our stand hydraulic cylinders are now av available online in Pin, Clevis, Spherical Eye, Plain and Flange Mounted versions. Also available are the full range of ATOS high quality production cylinders in Tie Rod construction and available with built valves and high accuracy linear transducers. 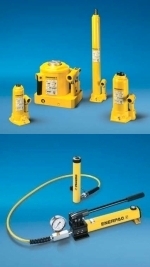 These cylinders are state of the art hydraulic rams for the most demanding and accurate of applications. 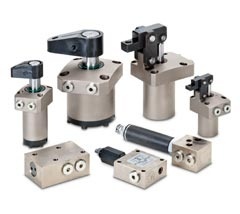 Expanding on these hydraulic cylidners we offer a full range of Standard and Custom Designed Block Cylinders for clamping application or for general use. 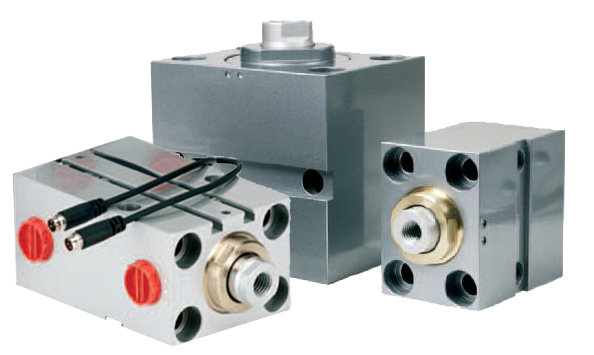 These cylinders offer the neatest and most compact mounting, suitable for a wide range of applications. Contact us for custom Block Cylinder requirements. 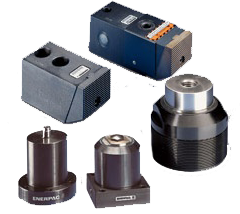 A full range of Hollow and Threaded Clamping Cylinders direct equivalent to Spencer Franklyn can be found in the Hydraulic Clamping Product Section on the left. These cylinders are made to the same high standard as Specner Franklyn and are available from stock. The Spencer Franklyn Part Number can be found on the product listing so you can be sure or order the correct cylinder. This section also contains the full range of equivalent Air-Oil Intensifiers which are often used with these cylinders. We offer a design service for cylinders made to exact specifications with any Mountings, Bores and Strokes for any application. Cylinders can be painted to specification and manufactured in a range of materials including Aluminum and Stainless Steel for Marine and other corrosive environments. State of the art ATOS cylinders with linear transducers, servo cylinders and the requsite electronics are part of the specialist equipment we can offer for systems tailored to your needs. We can advise you on the best design of cylinder for your application and drawings are produced for approval before manufacture begins. Please contact us for any cylinder requirements you may have. For the full product pages on please click the Hydraulic Pumps Section at the top of the page. enquiries@hydraulic2u.co.uk with your full details and requirements. 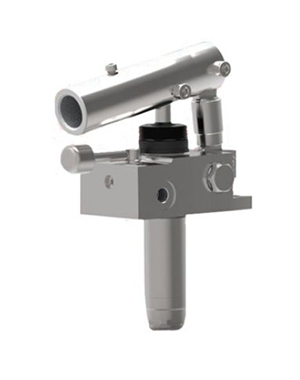 Our Hydraulic Hand Pumps are grouped by Single and Two Speed versions. For applications where cylinder extends under no load for some of its stroke we advise you use the two speed versions. These allow the hydraulic cylinder to extend more quickly until it meets resistance at which point the pump output reduces to give high pressure but with lower flow output. For applications where the cylinder is extending underload for most of the stroke we reconmend the cheaper single speed pumps as you will not see the benefit of the 2 speed versions. 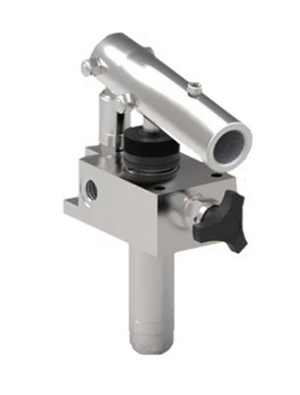 The corrosion resistant aluminum bodied and high temperature hand pumps see the Enerpac section of the Corrosion Resistant Hydraulic Section on the Left. We also Offer a full Range of other Hand Pumps for applications upto 300 BAR with a variety of pump outputs and reservoir sizes. The OMFB Hydraulic Pumps are a double action pump which output flow in both pumping directions and are suitable for heavy duty and high use applications. Our Economy Range of Hydraulic Hand Pumps offer flexibility in Hydraulic Pump Output and Reservoir Size at a low price. 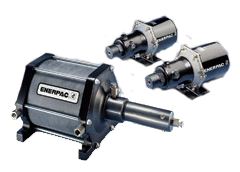 We offer the full range of Enerpac Air Hydraulic Pumps including the New XVARI Air Pump. This offers increased flow and useability over the older Turbo Air Pumps and are proving extremely popular for air pump users. In fact many Turbo Air Pump users are switching to this pump for the many benefits it offers. The full range of Turbo Air Pumps (PATG, PARG, PAMG) including Foot, Lever and Pendant versions are still available on line for those that need a slower flow rate. The low pressure (350 BAR) versions ending with the part number PB are also available. Please contact us with your requirements. We offer the full range of Enerpac Electric Hydraulic Pumps including the PUJ Compact Pump which can be purchased on-line. We also offer the New ZU4 and ZE Electric Pumps which are built to order and available in a variety of pump outputs with options on reservoir size, valve type, motor voltage and available with options such as skid bars, pressure transducers, heat exchangers, temperature level switches, roll bars and pendants etc. We also design electric pumps for any application giving custom flow rates, pressures and valve confiqurations. These are generally for pressures upto 210 BAR using gear pumps but we can build units with pressure ranges of 350 and 700 BAR with all the necessary valves. Please contact us with your requirements and we can quote a power unit to your specifications. 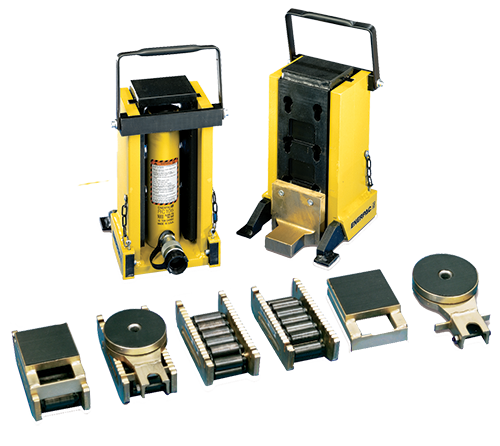 For the full product pages on please click the Hydraulic Jacks Section at the top of the page. In this section you can find Enerpac, Larzep, Hi-Force, Power Team and Tange Bottle and Toe Loft Jacks organised by Tonnage with a variety of strokes. 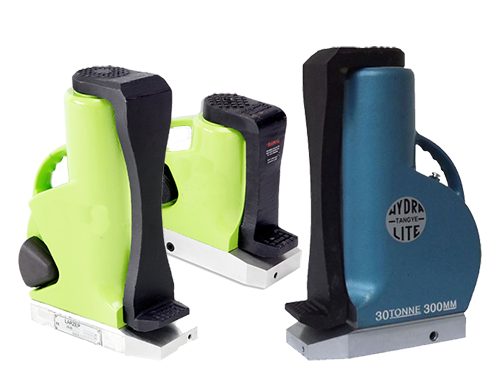 These jacks can be used in a varity of lifting applications including the automotive industry and are simple to use and cost effective. In this section you can also find Enerpac Cylinder Pump Sets (SCR, SCL, SCH) which are complete Hydraulic Pump, Cylinder, Hose and Gauge sets. The have everything you need for a complete system simply assemble and use. They come with Hand, Foot and Air Pump Options with Cylinders upto 50 Tonnes with a range of stroke lengths. If you require a set that is not on-line please contact us and we will find the set most suitable for you.